mobile wallpaper. used brush not mine. 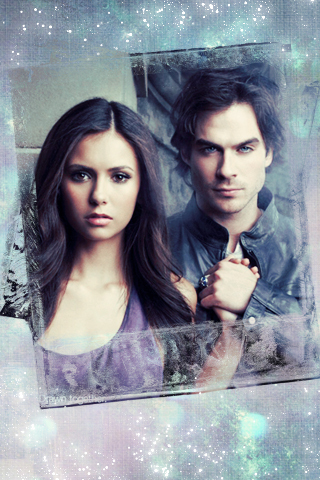 Wallpaper and background images in the The Vampire Diaries club tagged: elena damon the vampire diaries. This The Vampire Diaries fan art might contain ritratto, headshot, primo piano, and closeup.